Bolton based Cosatto is the manufacturer of award winning car seats, pushchairs and travel systems and has been an Import Services Client since 2014. Cosatto import their products from manufacturing sites in the Far East directly into Southampton Docks, the first Port of Call for ships arriving from that region. Onward B2B and B2C distribution to the UK, Continental Europe and the Russian Federation. The large nature of Cosatto’s product size makes the Southampton Docks DC the natural choice, predominantly due to its vast number of pallet locations and capacity for further extension. Retailers that accept Cosatto product demand the usage of Kewill and Metapack IT systems, which determine that an integrated labelling process is necessary to ensure speed to shelf. A strong Partnership with clear communication with all parties can achieve these bespoke requirements. Further examples of integration include the flexible arrangement for quality control. Import Services provide this facility, but also during peak times allow for Cosatto team members to supplement QC workflow and train when peak. Our Client Portal TRAC is regularly used for monitoring stock, dispatch, returns, goods in, stock. The real-time, 24/7 nature of access to TRAC is ideal for Clients delivering B2C. Clients who have a strong social media presence require a flexible and responsiveness logistics provider to mirror the very same service they offer. 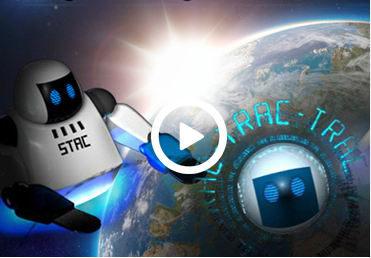 TRAC delivers instant information and aligned with the account manager can action end-customer requirements swiftly.